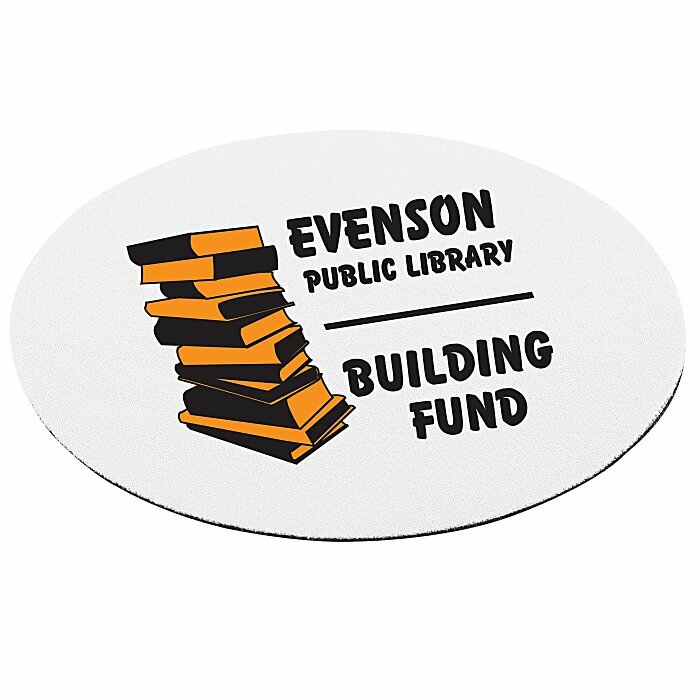 Round out your advertising efforts with this colorful coaster. Constructed from traditional “mouse pad” material, these thin coasters feature a unique dye-sublimated imprinting process. Sublimation does not print an image on the fabric; it dyes the fibers, resulting in a smooth finish, excellent graphic reproduction and brilliant color. Because the ink becomes part of the fabric, your imprint will not fade or crack from wear. Base material is white polyester fabric. For square coaster, see item #101753-SQFull Color Mini Mouse Pad Coaster - Square. Your price includes a full-color imprint on the front of the mouse pad.